Dodge has carved a name for itself in an industry where longevity is not easily obtained. They’ve done so by not just producing quality vehicles but producing a wide variety of vehicles, all of which are competitors in their respected classes. The Grand Caravan has been the most famous name in the Minivan genre for nearly 30 years. It’s a vehicle that built an entire class on its shoulders and continues to carry it to this day. 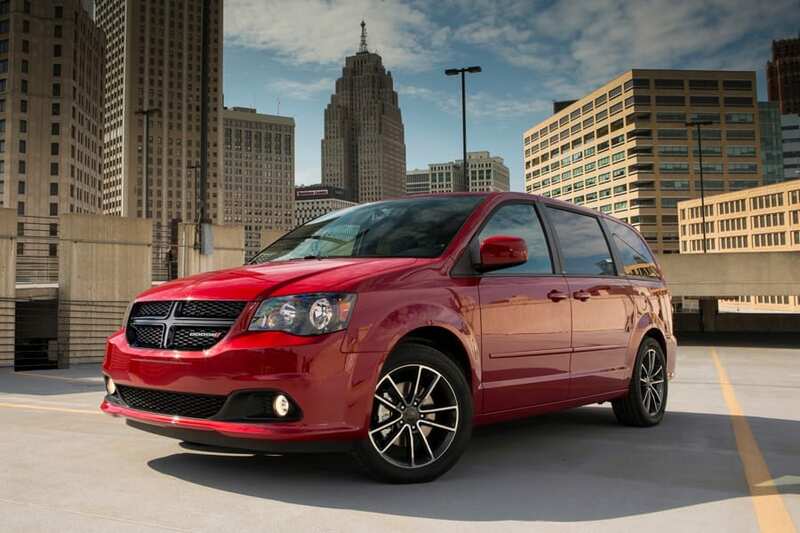 Here are 5 reasons to buy a Dodge Grand Caravan. The 2017 Grand Caravan offers a classical van structure, with a futuristic take and an infusion of Dodge DNA. It’s a vehicle with muscle but doled out in an organically elegant way. The strong back end in accent by a stylish liftgate spoiler. A sharp accent line cuts through the lower third of the side panel, giving the Grand Caravan some added dimension, and the aggressively styled front end is led by the Crosshair grille with the Dodge emblem planted dead center on its front face. The interior of the Grand Caravan is its entire raison d’etre. The entire minivan class is designed to take advantage of its interior space, and no one does that better than the Grand Caravan. Super Stow ‘n Go Seating and Storage system allows for 81 different cargo configuration. It seats 7 people comfortably and is stocked full of innovative technology that makes it the perfect family vehicle for short trips or long journeys. The Caravan practically invented what it means to be a modern day minivan. It’s given birth to an entire genre of vehicle while simultaneously keeping itself at the forefront of the entire industry. It’s backed by Dodge power, which offers 283 Horsepower and 206 ft-lb of torque out of a 3.6 L Pentastar VVT V6 Engine. It also puts a strong focus on efficiency which makes it a highly impressive vehicle all around. Dodge is a vehicle company that’s always on the forefront of the industry. They push boundaries in performance and in technology. The Grand Caravan comes equipped with a 430N Multimedia Center that features a variety of audio technologies, ParkView Rear Back-Up Camera, and Garmin Nav systems. It’s also built with incredible hands-free technology with Bluetooth streaming services that keep you connected throughout your entire drive. Dodge produces some of the safest vehicles on the road. The Grand Caravan comes equipped with some of the smartest passive and active safety technology available today; technology like Blind Spot Monitoring with Rear Cross-Path Detection, Park-Sense Rear Park Assist System, Automatic headlamps and much more. It’s a vehicle designed to always keep you comfortable, through luxury, space, and keeping you safe. The Dodge Grand Caravan is the ultimate minivan. It’s the original. It does everything you could want out of a family vehicle of this type. Come check it out for yourself by coming into Great West Chrysler or booking a test drive online today!